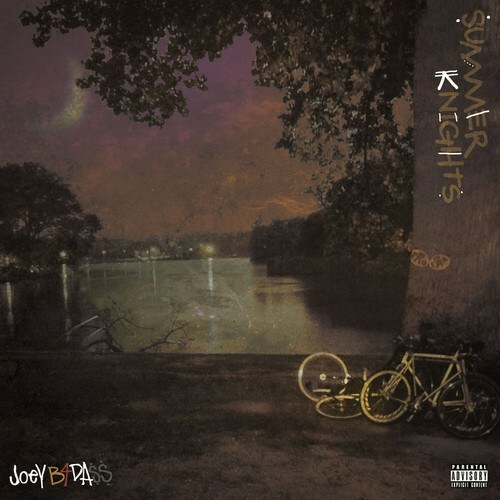 Joey Bada$$ drops “Summer Knights” to coincide with the beginning of summer and hopefully carry you through this hot nights. Joey is a dope lyricists for his age, and has shown some growth from his previous work. But I believe one of the surprises here are his Pro Era crew who shine in many of the songs. Only thing I believe is holding Joey back is the lack of excitement in his voice. Dope lyricists but needs work on flow cause music is entertainment in the end. If you been missing the 90’s sound but in 2013, then this is it. Some production is handled by Statik Selektah, DJ Premier, and MF Doom. Download “Summer Knights” here. previous Elijah Blake Feat J. Cole "Vendetta"